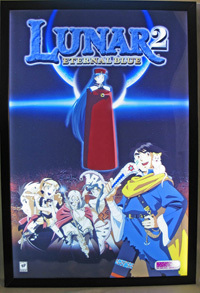 These are illuminated lightboxs with 1/8" thick acrylic prints of LUNAR and LUNAR 2 artwork on it. In late 2007, Victor Ireland started selling illuminated art from the Lunar games on Ebay. We grabbed two screenshots of these items. 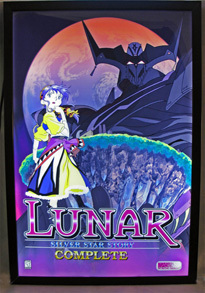 They were never sold anywhere, and were only used at trade shows that Working Designs showed off the LUNAR titles at. 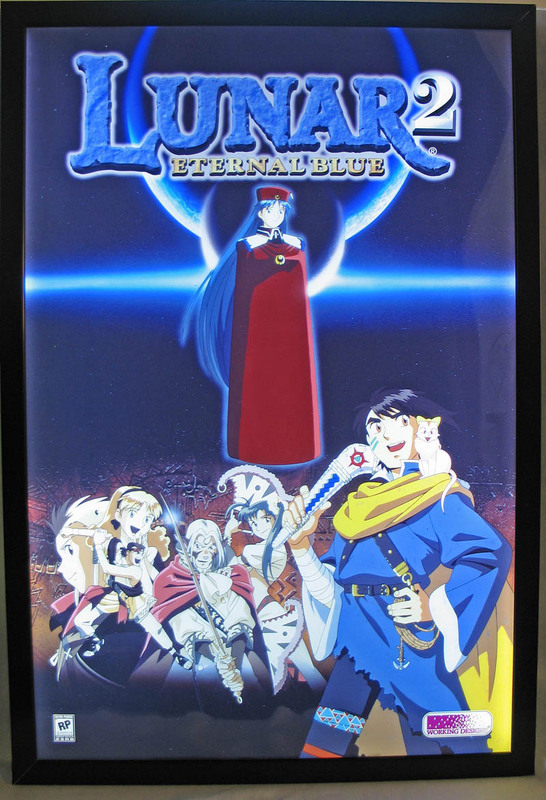 They seem to be pretty cool items, and the LUNAR 1 illuminated art sold for over 300 dollars.